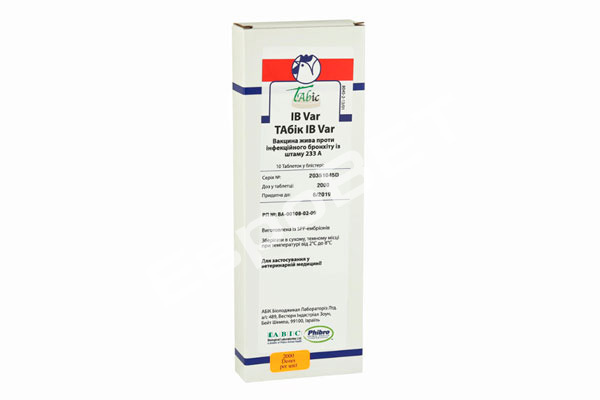 Live vaccine against infectious bursal disease, strain M.B. 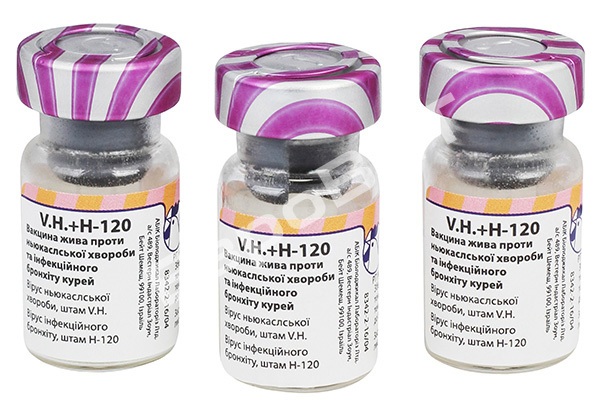 Live vaccine against infectious bronchitis of poultry, strain 233 А. 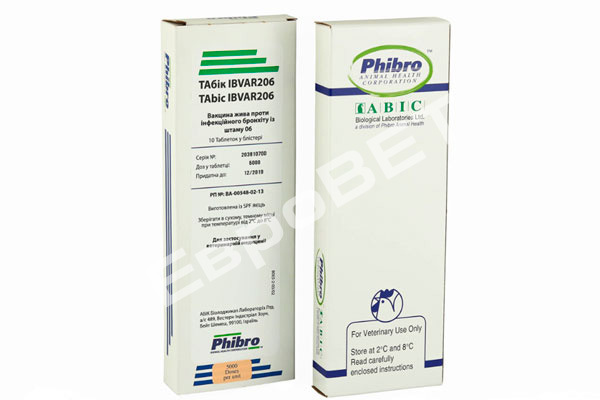 Live vaccine against infectious bronchitis of poultry, strain 06. 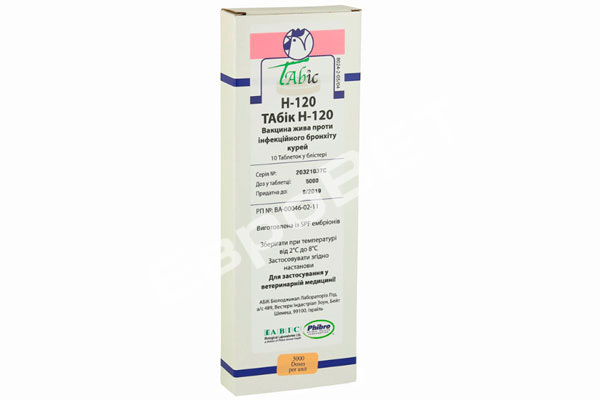 Live vaccine against infectious bronchitis of poultry, strain Н-120. 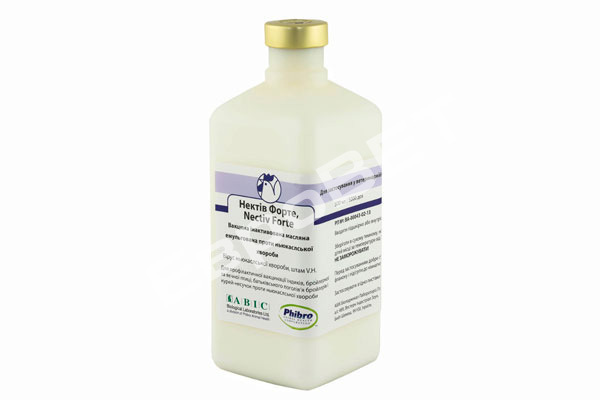 Live vaccine against Newcastle disease and infectious bronchitis of poultry. 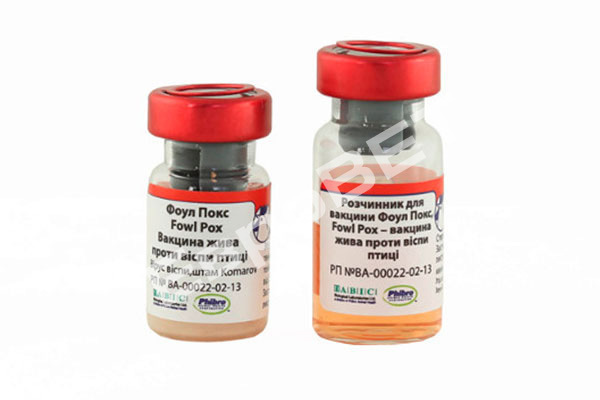 Live vaccine against fowl pox of poultry, strain Komarov. 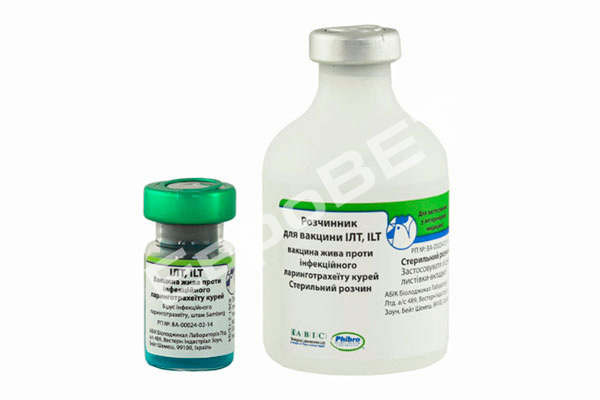 Live vaccine against infectious laryngotracheitis of poultry, strain Samberg. 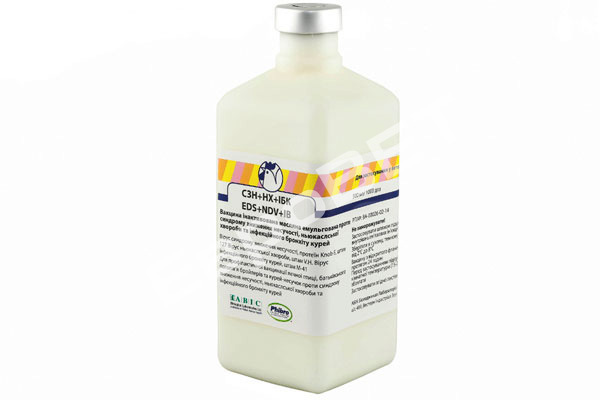 Inactivated oil emulsion vaccine against Newcastle disease, strain V.H. 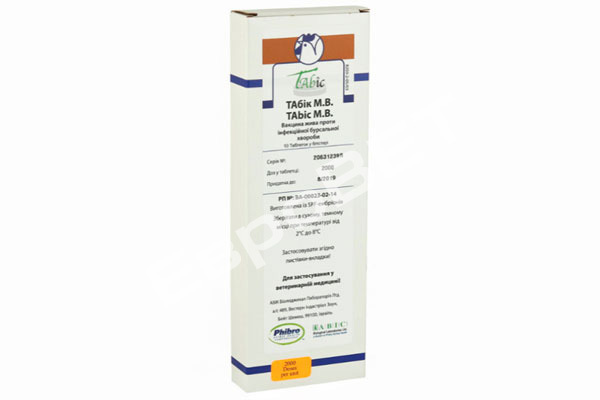 Inactivated oil emulsion vaccine against egg drop syndrome, Newcastle disease and infectious bronchitis of poultry. 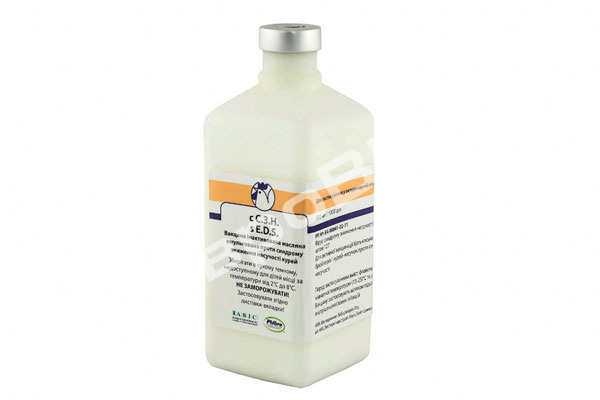 Inactivated oil emulsion vaccine against egg drop syndrome of poultry.